In 1932 laundry-store tycoon George Preston Marshall became part owner of the Boston Braves franchise in the National Football League. 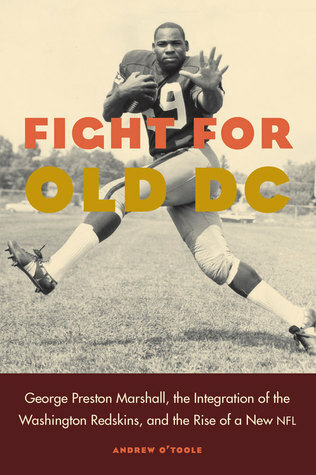 To separate his franchise from the baseball team, he renamed it the Redskins in 1933 and then in 1937 moved his team to Washington DC, where the team won two NFL championships over the next decade. But it was off the field that Marshall made his lasting impact. An innovator, he achieved many “firsts” in professional football. His team was the first to telecast all its games, have its own fight song and a halftime show, and assemble its own marching band and cheerleading squad. He viewed football as an entertainment business and accordingly made changes to increase scoring and improve the fan experience.